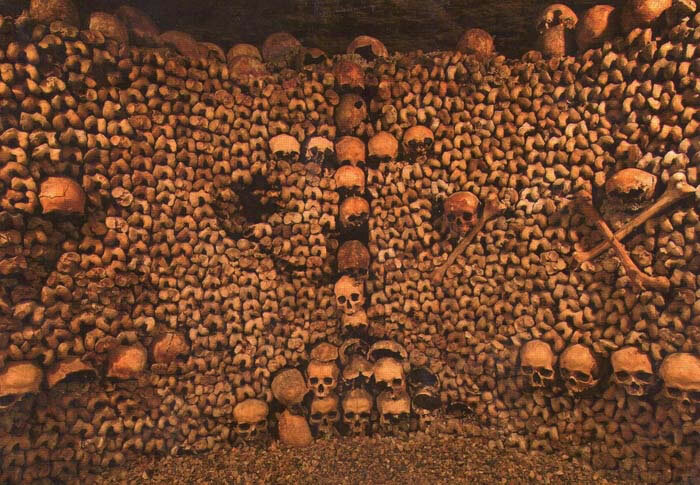 Jonny visited the subterranean location of Paris' stone foundary and of the final resting place of over 6 million of its dead as an afterthought. It turned out to be the most moving stop of his visit to the city. The bones of millions of people were deposited there after the city's churchyards became too overcrowded in the 17th century to hold them any longer. Walking among those bones can be a profoundly emotional experience as one is forced to confront his own mortality and contemplate the brevity of our time walking the earth. One of the stone masons used his breaks from working to recreate the jail where he was once imprisoned in one of the stone quarries. The ceiling eventually collapsed on him and he was killed before he could complete his work.